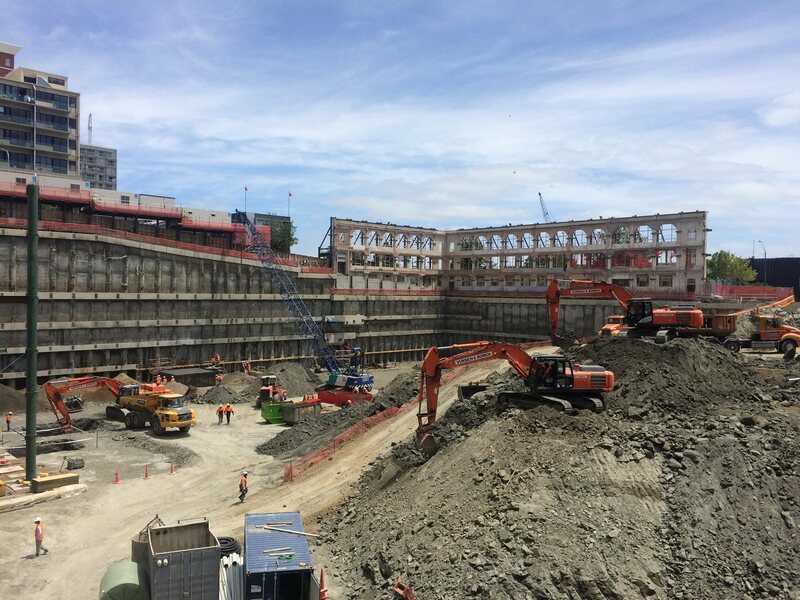 It’s now just over a year, 16th December 2015, since works started on the site of the New Zealand International Convention Centre in central Auckland. Callum Mallett, General Manager of NZICC Operations, says the hive of activity hasn’t just been confined to the construction site. “We’ve been busy building a strong team, demonstrating to customers around the world that we’re open for business. In a few weeks, we’ll be at AIME 2017 in Melbourne for Australasia’s biggest events trade show – a year after appearing at AIME 2016 - our very first trade show. It shows just what great progress the team has made,” says Mr Mallett. On the site itself, much of the work has been taking place simultaneously: demolition, excavation and piling. NZICC Project Director Dave Hunter of Fletcher Construction says great planning and great teamwork are essential to progress, and shows us below what progress we saw in 2016. The numbers involved are truly impressive. 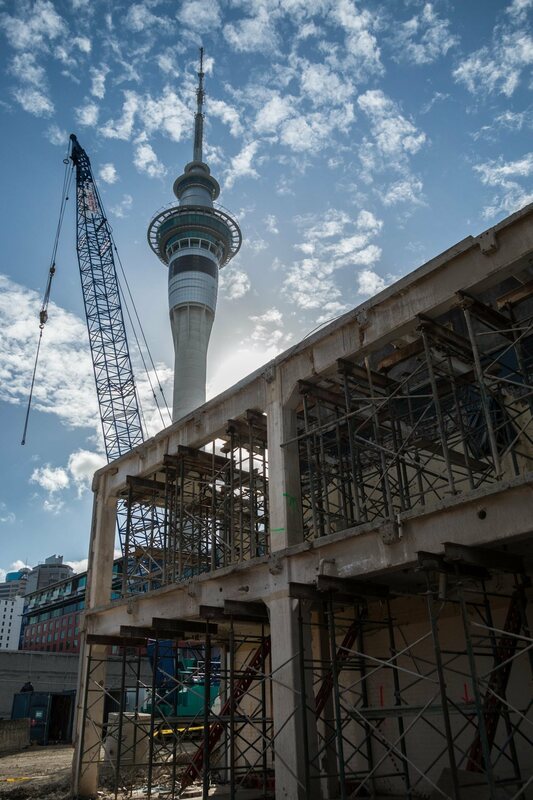 221 piles have been installed for the NZICC and put them end to end, they would stretch for more than four kilometres or 14 times the height of the Sky Tower (328m). Excavation is 70% complete with approx. 147,000m3 soil removed. That’s the equivalent of about 59 Olympic-sized swimming pools. That leaves 73,000m3 to be removed or a shade over 29 swimming pools-worth. To give you an idea of the progress that’s been made, back in August 2016, only 10% of soil or 23,000m3 had been removed. As you can see they’re digging deep. The foundation pads themselves are between 25 metres to 30 metres below street level with varying depths due to the sloping site. "Fletchers advise that they are hitting the key construction milestones, and it’s exciting that we’re embarking on the next phase of the project which will see the NZICC rising up on the site," says Simon Jamieson, Group GM – NZICC Development and Tourism. 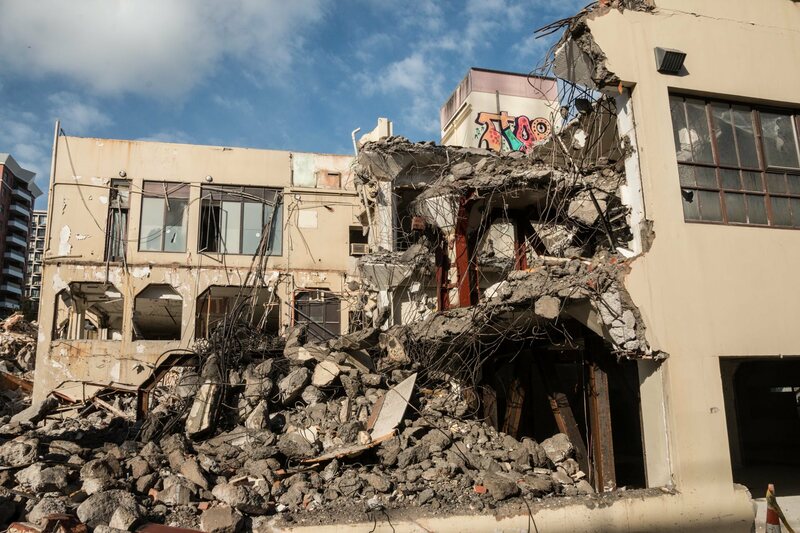 An interesting aspect of the construction work has been the great care taken around the facades of historic Nelson House, conserving them, ready for integration into the NZICC building. The partner archaeologists have also helped conserve and catalogue the fascinating historical artefacts which have been found on site. Many of the artefacts give an often poignant insight into working-class life in New Zealand’s biggest city in the late 19th and early 20th centuries. One of the great challenges for the NZICC team has been selling a building that doesn’t yet exist. 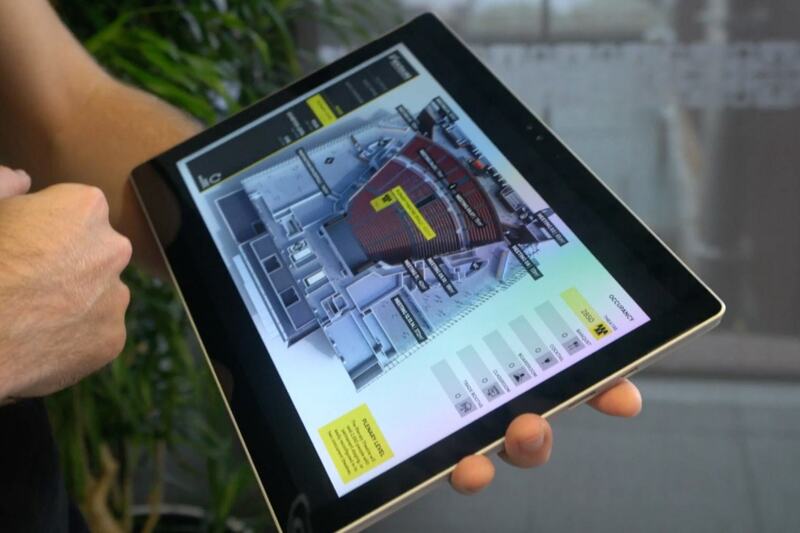 An innovative digital interface designed in collaboration with Auckland company BuildMedia has proved a great success at trade shows here and around the world showing the possibilities for event holders of this amazing convention centre. That innovative approach led to the NZICC team being named as one of the finalists in the prestigious ICCA Best Marketing Awards 2016. “We’re so proud of our work with BuildMedia in developing a digitally-advanced, immersive, interactive building experience. It’s a unique tool that allows our clients to really get a feel for what the NZICC will be like when complete, and enables our partners and team go out to our customers, rather than them having to come to us,” says NZICC Marketing Manager, Sarah Burilin. The approach to design and sales is paying off, exciting the events industry and attracting high-flyers like MCEC Senior Manager, Prue Rogers, who’s moving across the Tasman to be NZICC's Director of Sales. “It’s fantastic to join the team at the NZICC, helping sell a convention centre which, uniquely for New Zealand, will be capable of hosting conferences of around 3,150 people and one-off events of up to 4,000 people,” says Ms Rogers. Prue will be increasingly busy over the next few months, responding to the keen interest from clients around the globe in booking the NZICC.